Garage sale is a great way to get rid of unwanted items, plus make some money. Everybody accumulates the kind of stuff that other people are searching for and are willing to buy. If you have lots of stuff you no longer use or want, consider having a garage sale. There is no reason to go on storing items you'll never use. You can make good money by holding a garage sale. Holding a garage sale provides an outlet for unwanted items, which other people are looking for, and will pay good money for. Examples of such items are: furniture items, toys, vacuum sweepers, lawn mowers, jewelry, baseball cards, camping equipment, drinking glasses, dishes, dolls, salt and pepper shakers, coins, toasters, toys, clothes, hair dryers, coffee pots, rollar skates, old records, bikes, furniture, pictures, books, sporting equipment, televisions, bags, CDs, tape recorders, household tools, and other items that you have no use for anymore. You don't need a garage to hold a garage sale. A garage sale can be held anywhere - yard, lawn, basement, garage, porch, or house. But you need to know why people go to garage sales, what items they buy and how to set prices on your merchandise. Before you hold your garage sale, visit a few sales in your area to see how the items are displayed, how they are tagged, what people are buying. Find out how they priced the items, then price your own merchandise accordingly. People will buy just about anything at a garage sale. You'd be surprised. But they are looking for bargains. They usually expect a big discount on items that have been used. Don't disappoint them. You need to advertise. Advertise your sale in the local newspaper, shopper guides, on bulletin boards and even online. Advertise your garage sale all over the neighborhood. State the date and times of the sale, the address, and special items you have for sale that will draw customers. 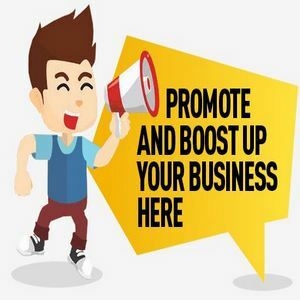 Word of mouth is also an excellent advertising method. Make your garage sale known to as many people as you can. Place signs in high-traffic intersections within a few miles of the location of the sale. Use sturdy cardboard and big lettering. Make sure you remove your signs once the sale is over. You don't want people coming to your house after the sale is over. Be sure to check with your local officials regarding laws and regulations of garage sales. You can make money out of a garge sale, if you do it right. There are many resources available that can provide you with the information and tips you need to hold a successful garage sale. The Internet offers garage sale information, guides, and other resources, which can lead you in the right direction to making money with a garage sale.